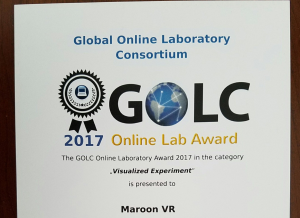 Abstract: Maroon VR is a three-dimensional immersive lab experience in VR. 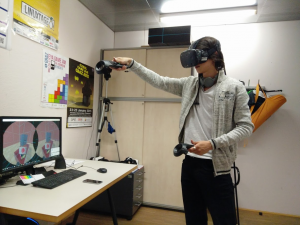 Different physics experiments are visualized and simulated and rendered in VR to engage learners in an innovative and emerging environment. 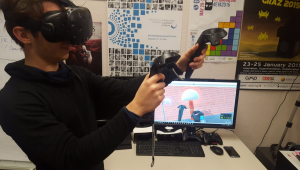 Maroon VR is designed for two different learning scenarios: (1) a room scale virtual reality experience with the HTC Vive fully immerses learners into the lab. 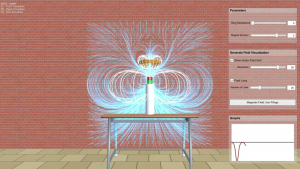 Learners experience a Tesla coil at close range and can interact with the electro-magnetic experiments and feel resistance through the controllers. 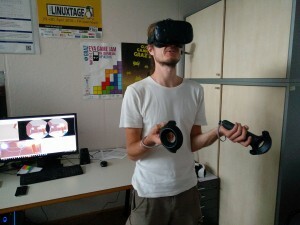 The second (2) scenario implements the lab in fully mobile VR experiments with the Gear VR or Google Cardboard. Since most students already own a smartphone, this version is cost-effective and easily available and remotely and mobile usable. 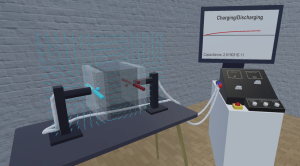 This version is designed to be used in the classroom and supports immersive and engaging learning in a mobile, stand-alone, and cost-effective way. 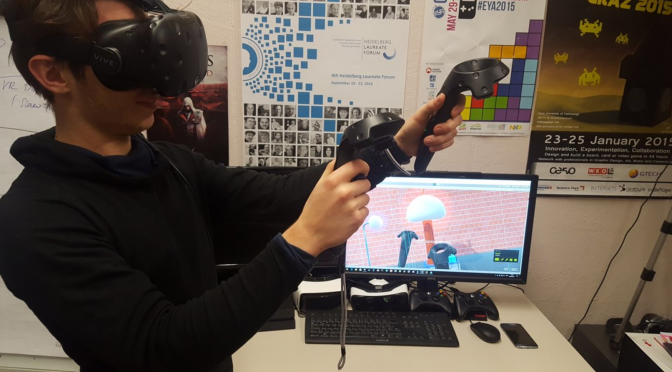 So many **fantastic** students were already involved in the development of this project! !